Often proclaimed as Australia’s unofficial capital city, the city of Sydney is a true metropolis of coastal beauty, urban innovation and rich Australian culture. Sydney’s perfect weather makes it hospitable for visiting all year round. Although keep in mind that Australia’s sunshine can be brutal, so pack lots of sunscreen, sleeved shirts and a good hat to protect yourself from the UV rays. Another plus side to this fabulous city, is Sydney’s uncontainable natural beauty, meaning that there’s an activity for every budget and interest. With only 24 hours in Sydney it can be difficult to choose what to do and where to go. Enjoy a drink overlooking Sydney’s famous Harbour Bridge and Opera House, jump on a ferry to Taronga Zoo, embrace the known and unknown beaches scattered around, or make a trip to one of the many acclaimed museums and galleries. 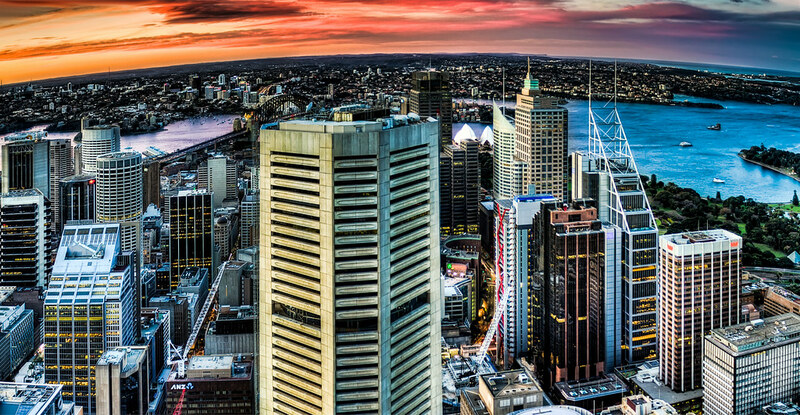 Discover that great Australian hospitality and explore the diversity and culture in the city and city fringes. This complete 1-day itinerary has all the answers for your next trip to Sydney. There is no better way to start your morning than to breathe in that fresh Aussie air along a gorgeous coastal walk. Tipped as possibly the best thing to do in Sydney; the Bondi to Coogee Coast Walk embodies all that is right with the city into one winding ocean track. Extending over six kilometres in length the walk should take you around three hours to complete, and is suitable for walkers of most ages and fitness levels. Source: flickr, Bondi Beach over Icebergs. There are reasons as to why this is possibly the most celebrated coastal walk in Australia. Begin at the beautiful golden sand Bondi Beach, grab a coffee at one of the many artisan cafes along the way and finish with a cool down swim at Coogee Beach. 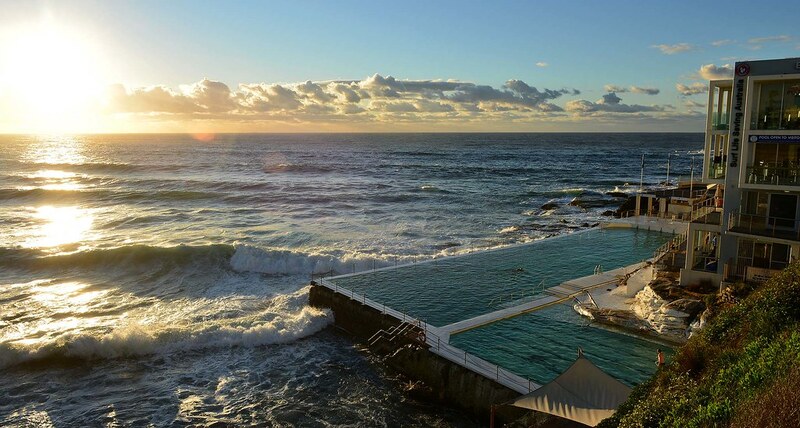 The walk weaves in and out of some of Sydney’s most celebrated beaches, including the likes of Clovelly, Gordon’s Bay and Bronte Beach, with each offering spots for swims, surfing and sunbathing. You’ll be hungry after all that walking, and you’ll need to fuel up for the big day ahead. Once the industrial heart of Sydney, the suburb of Alexandria has ditched the trucks and tradies for turmeric lattes and hipsters. The inner-city suburb has become famous as a foodie mecca- perfect for brunching. These old school industrial warehouses have been converted into cosy, trendy coffee shops boasting specialty coffee, organic foods, local produce and culinary masterpieces. Check out the new brunch on the block, Baby Coffee Co, located on the outskirts of bustling Alexandria, with an exclusive coffee bean and a deliciously colourful and creative menu, curated by a secret chef. Wet the baby’s head with their brunch cocktail menu boasting bottomless mimosas and pick up some cool branded merch as a momento. An absolute must-see in Sydney is The Grounds of Alexandria, one of Australia’s most Instagrammed locations. The grounds we speak of refer to an old pie tin factory, which has been transformed into an artsy, vibrant foodie community space, complete with petting zoo and markets. 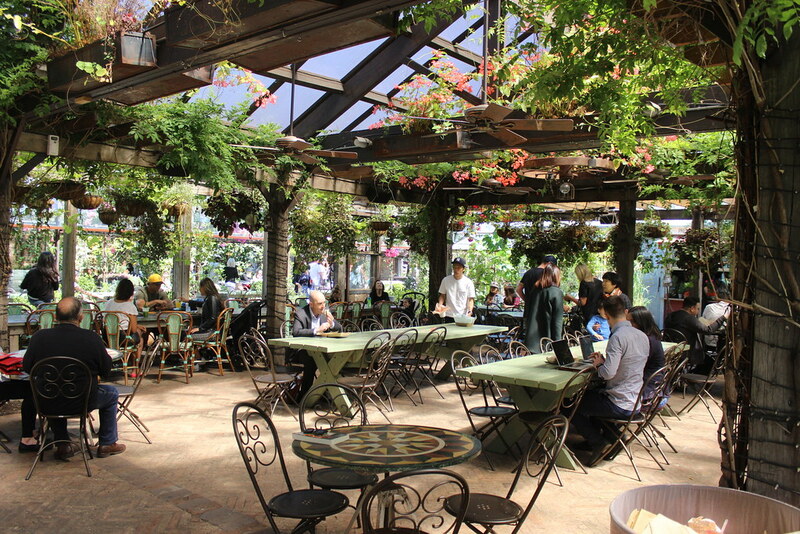 The Grounds of Alexandria hosts three different eateries, one cafe, one restaurant and one canteen. The Grounds decor is comprised of well-manicured gardens, pastry and lolly vendors and quirky art pieces including a telephone booth and an old farmers truck full of freshly harvested local produce. On Sundays, The Grounds of Alexandria also hosts a market for local craft makers to sell their goods. Take the train to Green Square Station, just a few stops from Central, the Airport and Circular Quay. Green Square Station is close to the hub of eateries and homewares boutiques. The development of Sydney’s light rail is also well underway due for completion in 2020. Although Sydney is mostly known for its star studded lineup of famous beaches, including the likes of Bondi and Coogee Beach, if you dig a bit further you’ll find a wide range of ocean hotspots that give you the true local experience. Begin with a trip to Milk Beach in the chic suburb of Vaucluse. The beach is small in size, but is a lot quieter than most and is protected from the elements as it’s located within the harbour. 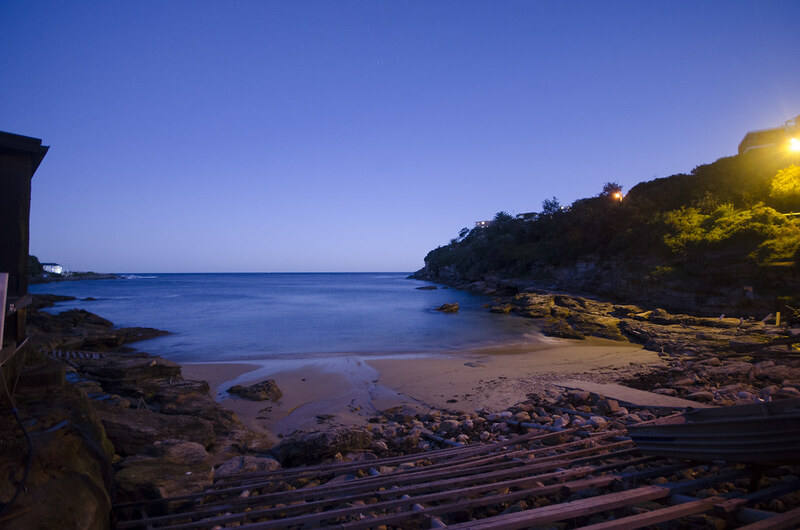 Next up on Sydney’s lesser known beach list is Gordon’s Bay. Located just north of Coogee, Gordon’s Bay is a snorkeling paradise as it’s protected by an offshore reef. Gordon’s (as the locals call it) offers calm waters for bathing and expansive rock ledges for catching some rays. Other hidden beach gems off the tourist trail include Little Bay, Chinamans and Store Beach. After exploring Sydney’s secret locations, head to the biggest tourist attraction of them all and make your way to Circular Quay for lunch. Soak up Sydney’s best city views from 275 metres high at the iconic Sydney Tower Eye, 360 Bar and Dining. This experience is truly exceptional and unique to Sydney, offering an extraordinary culinary experience with an even more extraordinary view. The main attraction of this restaurant is held in its name, boasting 360 views of Sydney’s city and harbour surrounds, in a rotating restaurant so you can’t miss a thing. 360 bar has an extensive menu of specially designed cocktails to match the extraordinary array of fresh local produce. Elton Inglis, the Executive Chef, has over 15 years experience in the industry working in some of the most renowned kitchens around the world. Furthermore, the Tower Eye is located just above Pitt Street Mall, Sydney’s best shopping location. 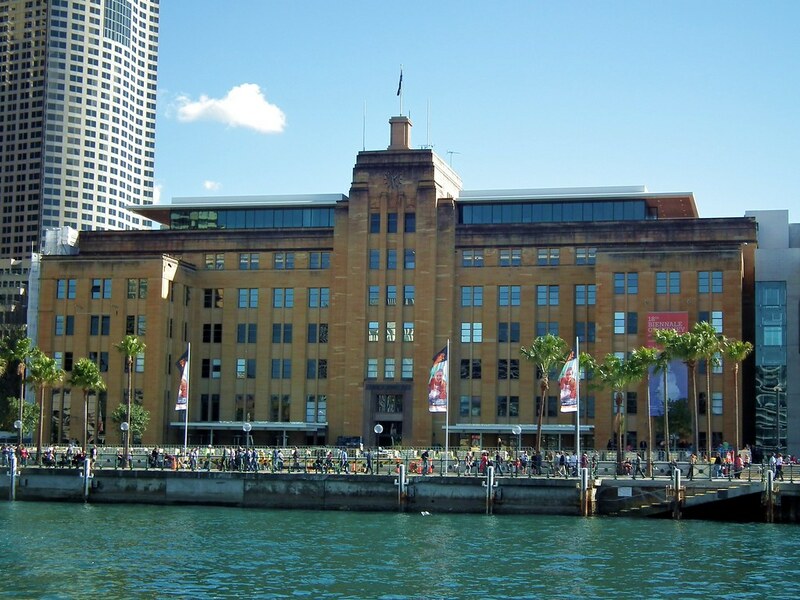 Whilst in Circular Quay check out the unmissable Museum of Contemporary Art. For those eager to explore the thriving art and cultural scene within Sydney, this is definitely the place to go. The Museum finds that perfect blend between exhibitions supporting both local and international artists with an emphasis being placed on contemporary art. For those on a shoestring budget the museum is an ideal thing to do in Sydney as admission is completely free. Enjoy getting lost among the galleries, and finish off the trip with a coffee/bite to eat on the rooftop cafe overlooking the Sydney Harbour Bridge and Opera House. Ready to view Sydney Harbour from a unique perspective? Catch a short ferry from Circular Quay to the famous Taronga Zoo in Sydney’s North, letting you enjoy panoramic views of Sydney harbour and towering cityscape. 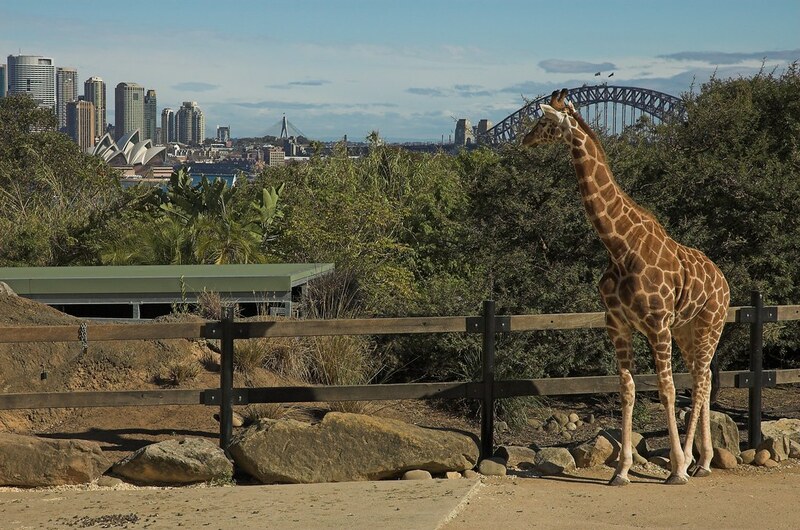 Taronga Zoo is home to an entire range of native and international animals, including such fan favourites as the Koala Bear and African Lion. The Zoo isn’t the cheapest attraction in Sydney, however booking online gives you a discounted price if you’re travelling on a budget. What’s most unique about Taronga Zoo are the sweeping views of the city in the background at a large chunk of animal enclosures. Quite bizarrely watch Giraffes enjoy their lunch overlooking the Sydney Harbour Bridge and Opera House. Taronga Zoo is a must on your list of things to do in Sydney. No trip to Sydney would be complete without heading down to the famed Circular Quay, home to Sydney’s most iconic structures; Sydney Harbour Bridge and Opera House. 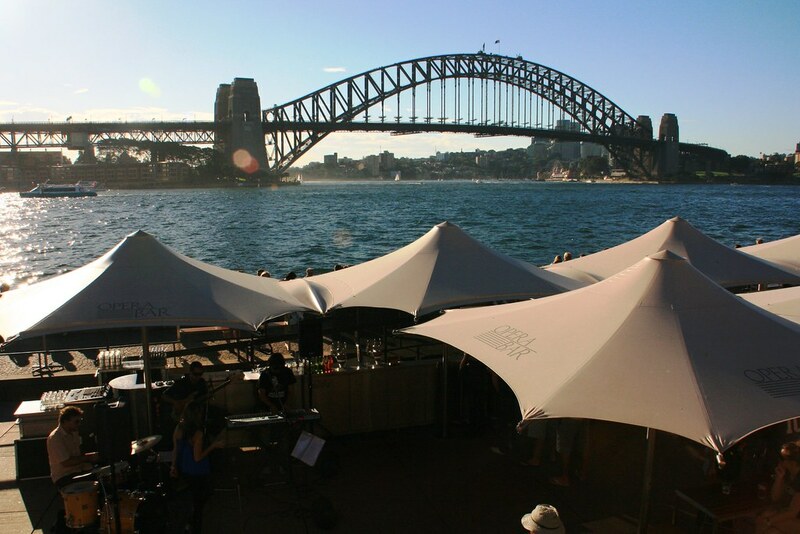 Whilst exploring the truly remarkable location make sure to grab a drink/bite to eat from the Opera bar, beautifully perched on the waters edge overlooking the glistening harbour, bridge and expansive city skyline. Opera Bar is reasonably priced for such a fantastic location, meaning you don’t have to fork out half of your daily budget on one drink. As you soak up the vibrant atmosphere of the bar it’s obvious to see as to why this is a visitor favourite for things to do in Sydney. 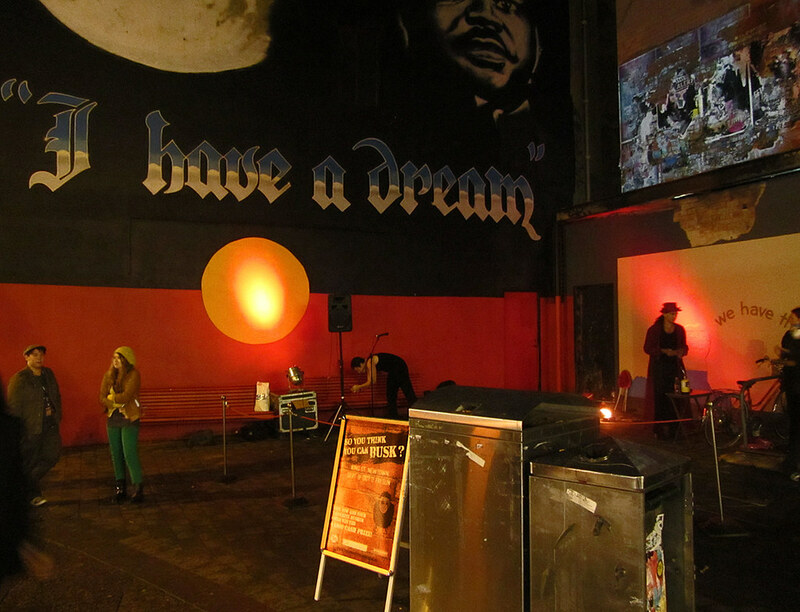 The day has been jam-packed of luxury activities and sightseeing in Sydney’s world-famous Harbour, City and Eastern Suburbs, now we want you to jump on the train and head west, to the Inner West, including the suburbs of Glebe, Newtown and Surry Hills to finish your evening on a cultural high. Once the home of Sydney’s working class families, Sydney’s Inner West has been redesigned into an expressive collision of Sydney’s diverse cultures and subcultures. The renewal of this area has made way for a burgeoning food, arts and music scene, complete with historic pubs, old and new boutique and vintage stores and culinary experiences spanning a world of flavours. Train from Circular Quay to Newtown Station where you will find yourself at the beginning of Newtown’s arts and foodie hub, King Street. Here you will experience a bohemian culture stemming from the region’s blue collar roots, which has remained true to their eccentricities throughout the generations. Next stop, Central Station and a menu of cuisines to explore on the city fringes. From the lantern strung lanes of Spice Alley to delicious boutique wine bars, Surry Hills is your one stop destination to foodie heaven. 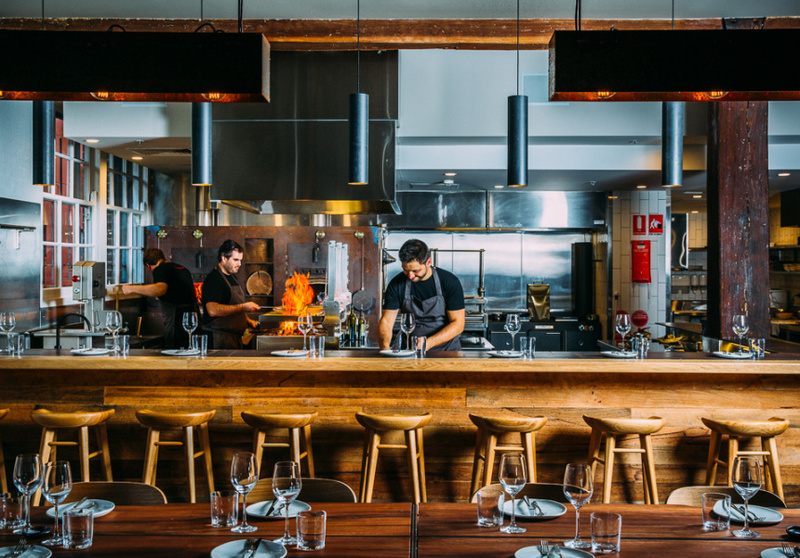 From the British-born, Michelin star chef, Lennox Hastie, Surry Hills presents Firedoor. As the name suggests, this restaurant exclusively offers smoked foods and meaty cuisines. The menu includes smoked and hung blue-eye trevalla and 184-dry aged steak valued at $176. This restaurant will tease and tantalise your taste buds. Other honourable mentions go to Bang, Gogyo and Chin Chin. 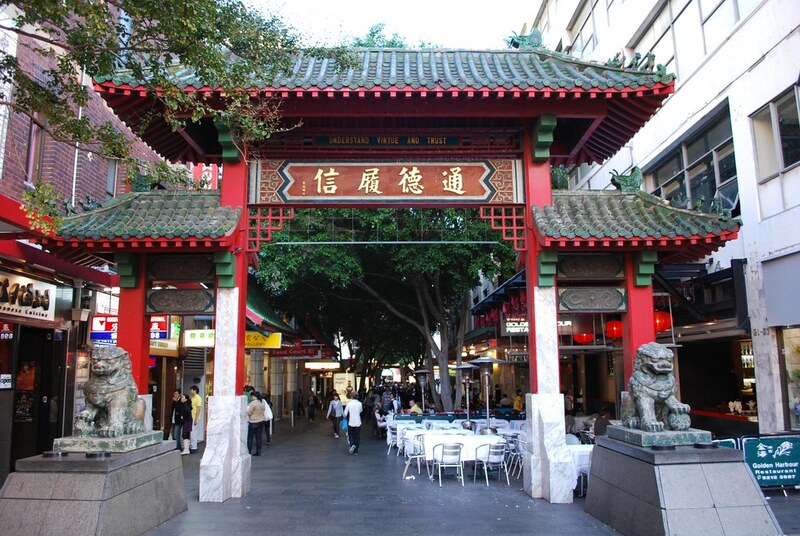 After a filling up on dinner, get back on the train at Central and head to Haymarket, where you will be welcomed into Sydney’s Chinatown. Once a rabbit warren of opium dens and gambling lairs, Chinatown is now a cultural hub embracing Chinese community and culture. Peruse the shops of knick-knacks and pick up some authentic Chinese desserts under the neon lights and lanterns. After exploring the area, head to K1 Karaoke bar to take out the night. K1 is opened until 4am daily and specialises in Green Tea and Hennessy.